…and you didn’t plan on camping out overnight, but maybe you underestimated the avalanche conditions, and you get caught in an avalanche. You make it through, but you’re injured, and you can’t get to safety. 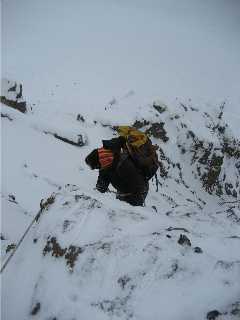 If you can at least build a shelter to help you keep warm until you can muster the strength to crawl your way out of the backcountry…or until rescue crews can reach you, then you may be in luck. Another situation when you might need to build a tree-pit shelter? Let’s say you’re out snowshoeing by yourself on a day hike, and you get injured. You’re unable to get yourself home before dark, and the weather has taken a turn for the worse. It’s a blizzard, and you’re starting to get very, very cold. Look for a tree well, and start building your tree-pit shelter. 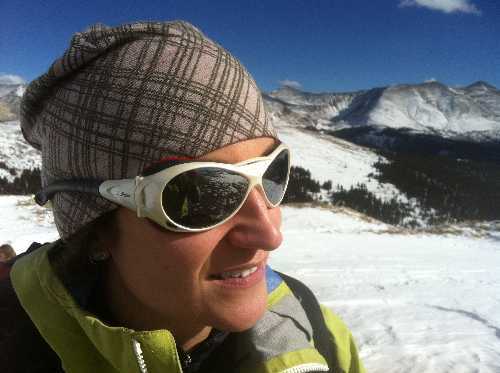 Glacier goggles often have polarized, mirrored lenses, and they already have attachments on the sides to prevent sun from entering. 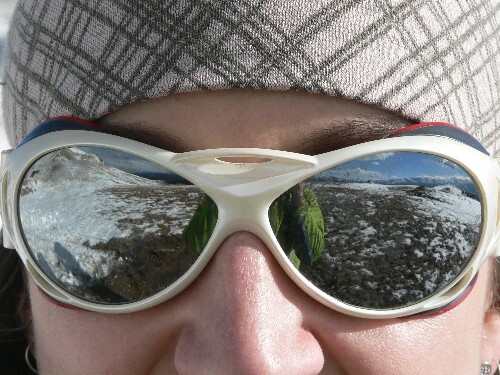 I often choose glacier glasses over sunglasses when traveling over glaciers (of course…) or even when skiing or hiking in calm, sunny conditions. Yes…I’m smiling in the above photo, not only because I have happy eyes but because I’m happy to be skiing in one of my favorite places in the world: Chamonix, France. What to know more about preventing snow blindness? Whenever I’m out in snowy terrain, I like to have full eye coverage, and these things do a good job keeping reflected light out. I never get the grainy, sand-in-your-eyes feel of snow blindness with these goggles. 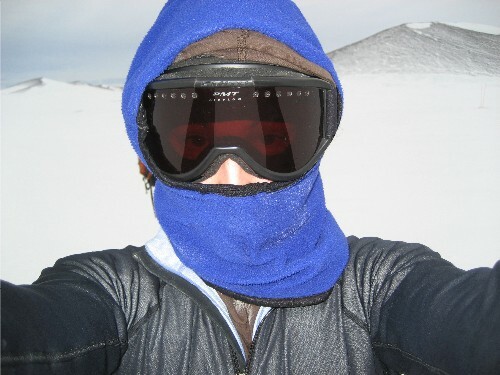 I recently wrote an article on the About.com Survival Skills site titled “Survive Snow Blindness: Make Your Own Goggles.” Although it’s probably not possible to make something as functional as my favorite pair of Julbo goggles, it is totally possible to make snow goggles out of duct tape, bark, and other natural materials. …and click below to read more about how to make your own using other methods. The snow is finally sticking here in Vail, Colorado, which has me dreaming up all sorts of cold-weather adventures. I broke into my winter gear bins last week to get what I needed for a hike up Arrowhead with a few friends. Even though the snow wasn’t deep enough for snowshoes or skis, we all wore gaiters over proper mountaineering-style hiking boots to keep the snow from getting into our shoes. The wind picked up as we hiked across the final ridge, and it was so cold on top that no one wanted to stop for more than a few sips of hot cocoa. 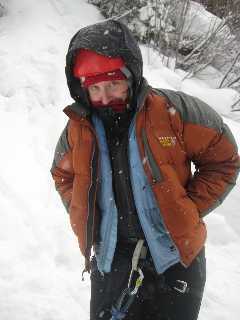 When I know that I’ll be sweating a lot, I usually wear a wool or polypropylene underlayer and a good shell jacket that can protect me against the wind, rain, or snow. At the top of a climb, I usually strip off my sweaty underlayer and put on a dry layer as long as the weather isn’t too foul to change. I’ll put on an insulation layer, such as a light down sweater or jacket, over that dry underlayer, and I’ll put my shell back on top for the ski down. In extremely cold environments, such as Antarctica, a massive insulation layer has its pros and cons. 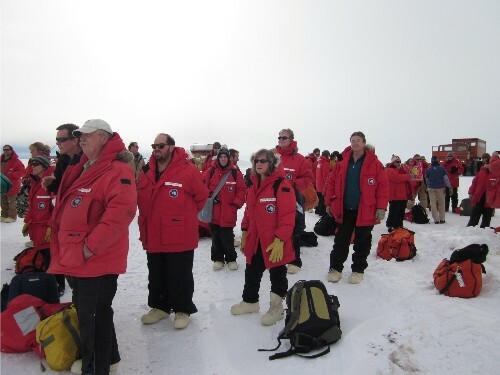 When it’s really cold and I know that I won’t overheat, I wear my Big Red parka for long hikes. It’s super bulky, and I was even cold on this early-summer-season hike. Notice the boots…they’re pretty burly themselves. These boots are called FDX boots, and you can add extra felt insulation to the foot beds to increase their warmth. Just don’t try running in this outfit! 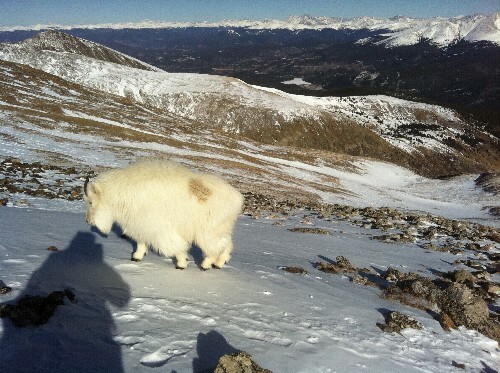 …however, mountain goats are way more adapted to the cold mountain climates than humans. Without the necessary physical adaptations…such as a big furry coat…humans will have to choose their winter clothing and outdoor activities carefully. 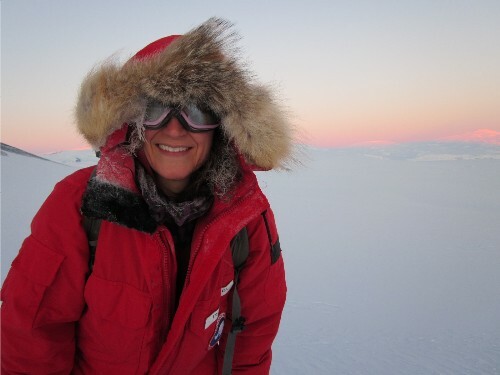 Want to know more about survival skills and cold-weather clothing? 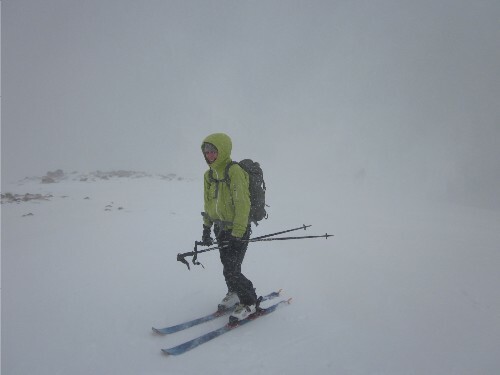 It’s possible to have a great deal of fun, even in brutally cold climates. A changing or extreme environment can become a survival stressor when it creates a difficult situation, but if you’re prepared and able to protect yourself, it’s possible to survive–and actually enjoy–a harsh climate. Take Antarctica, for instance. 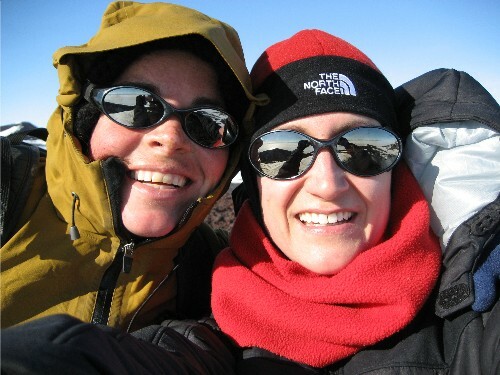 It’s a place of extreme beauty, and it’s also the highest, windiest, coldest, and driest place on the planet. But that doesn’t stop those who live and work there from getting outdoors. 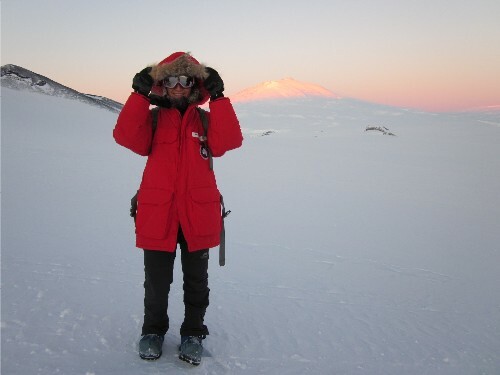 I’ve spent 25 months of my life living and working at McMurdo Station, Antarctica and I don’t know what I would have done without the many opportunities we had to get out and enjoy our surroundings. 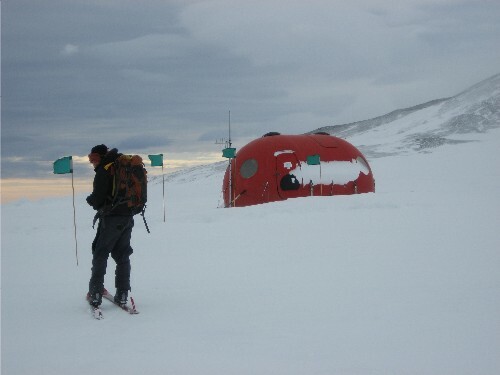 Finally, survival shelters and warming huts are helpful in the McMurdo area because many people like to get outside, and even those most accustomed to being out in the extreme cold like to warm up sometimes…especially when it’s windy and snowing sideways! 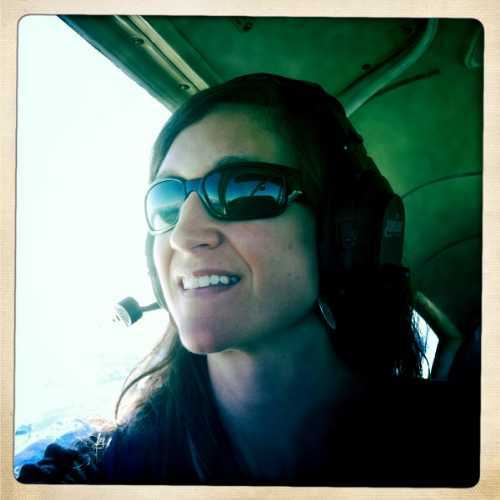 Want to know more about the most common survival stressors?